We are a tight-knit, research-oriented department, offering students the exceptional opportunity to work closely with world-class faculty and gain hands-on experience in a globally significant discipline. Government permeates our lives. Wherever you fall on the political spectrum, understanding the system is key to making a powerful impact. 9/25/18 What is Political Science? "Political Science gave me the versatility and skills to be ready for an opportunity I never anticipated. 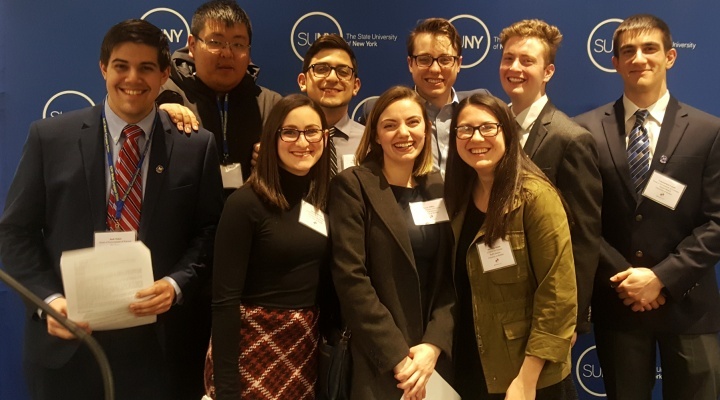 And as I work today with a world-class team of researchers, consulting with communities on some of their most pressing challenges, I’m ever grateful for my experience at UB."